Translation is rarely a straightforward process – things like cultural differences, grammar differences, and implied information can make a simple line an unholy mess to translate. But things get really tricky when one language has a unique word that the other lacks. 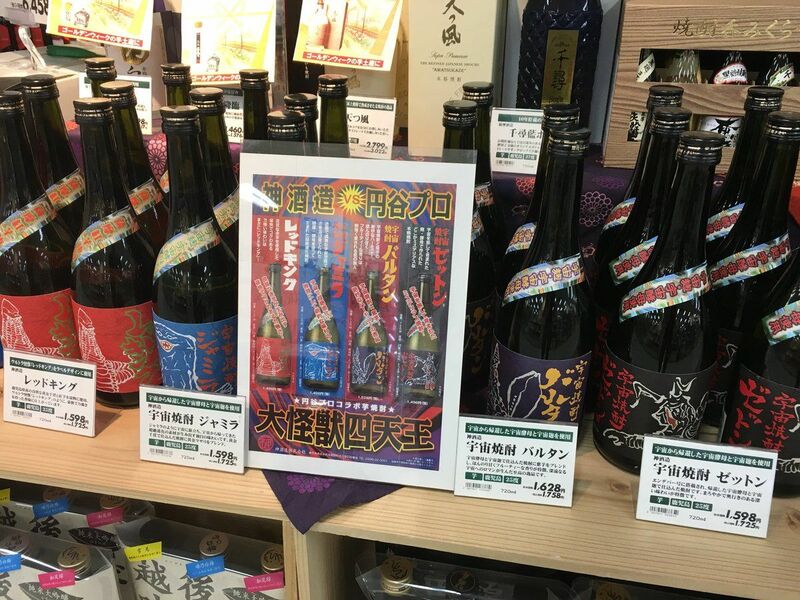 In this second Tricky Translations article, we’ll examine a pesky word that regularly appears in Japanese entertainment: shitennō, more broadly known as “the Four Heavenly Kings” outside of Japan. 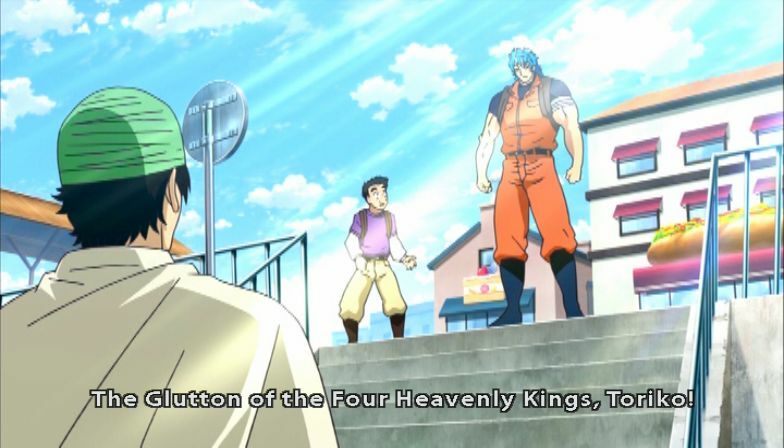 Although the concept of the “Four Heavenly Kings” exists in many different countries, in this article we’ll be focusing on its use in Japan and Japanese-to-English translation. What Are the Four Heavenly Kings? The term “Four Heavenly Kings” refers to four Buddhist gods that rule over each cardinal direction: north, south, east, and west. Different countries have adopted Buddhism in different ways over the centuries, so the Four Heavenly Kings sometimes go by different names and are depicted differently. But they almost always look fierce and imposing. 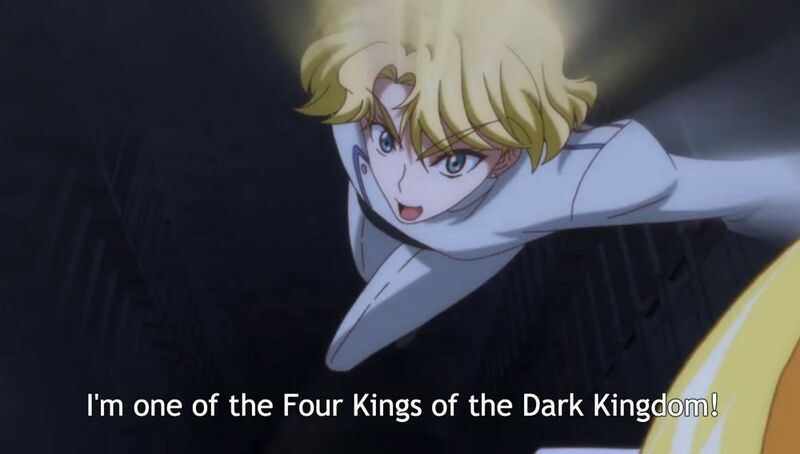 In Japanese, the Four Heavenly Kings are called the 四天王 (shitennō) – 四 means “four”, 天 roughly means “the heavens”, and 王 generally means “king”, “ruler”, or “lord”. In short, shitennō is a very specific word that’s steeped in Buddhism and Japanese culture – the perfect recipe for a tricky translation. So what’s the deal? Why are there so many translations for shitennō, and why is it such a problem for Japanese-to-English translators? There are all kinds of reasons – the English language doesn’t share the same Buddhist roots as Japanese, the word shitennō has taken on additional meanings, and the word shitennō has certain nuances that are easily lost in translation. I’ve outlined these issues and a few others below. In fact, even calling the shitennō “gods” is an oversimplification – they’re more technically devas. Basically, translating between languages can be hard enough, but nuances can drastically change when switching between religions too. Look out! 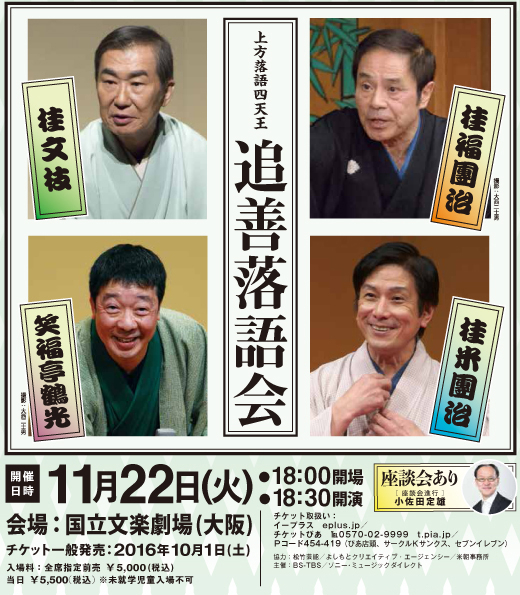 It's the Four Heavenly Kings of traditional Japanese comedy! 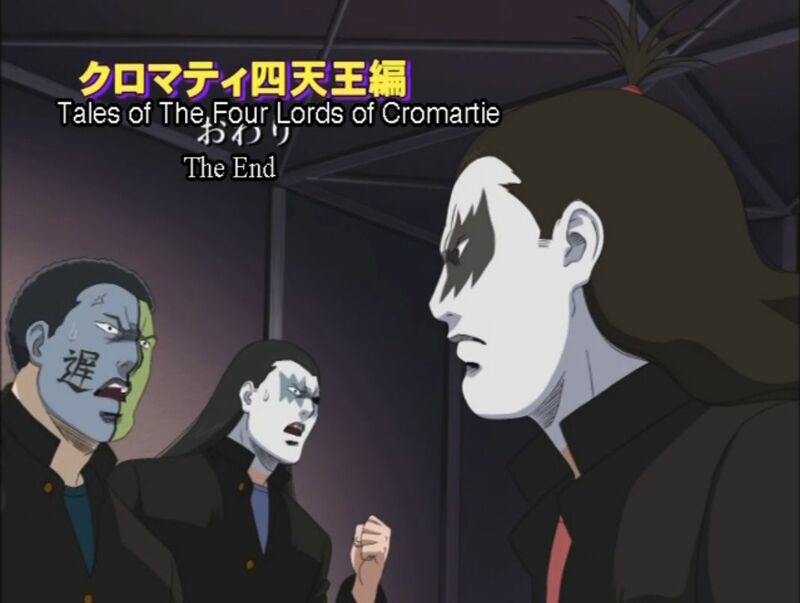 "Hey, wanna come see the Four Heavenly Kings do a concert?" "Sure! I'll invite the whole church group." Kabuki Rocks features the "Shitennō of Hot Bods"
And as we’ve seen here and in previous issues, shitennō aren’t exactly “kings” in the Western sense. 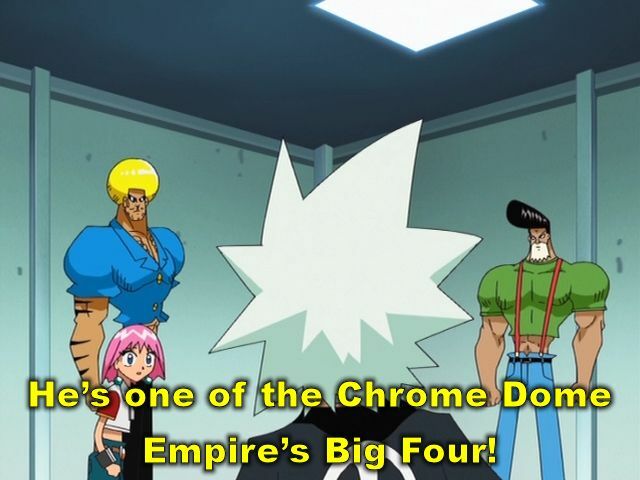 As a result, the phrase “Four Heavenly Kings” can give a different impression than what was originally intended. 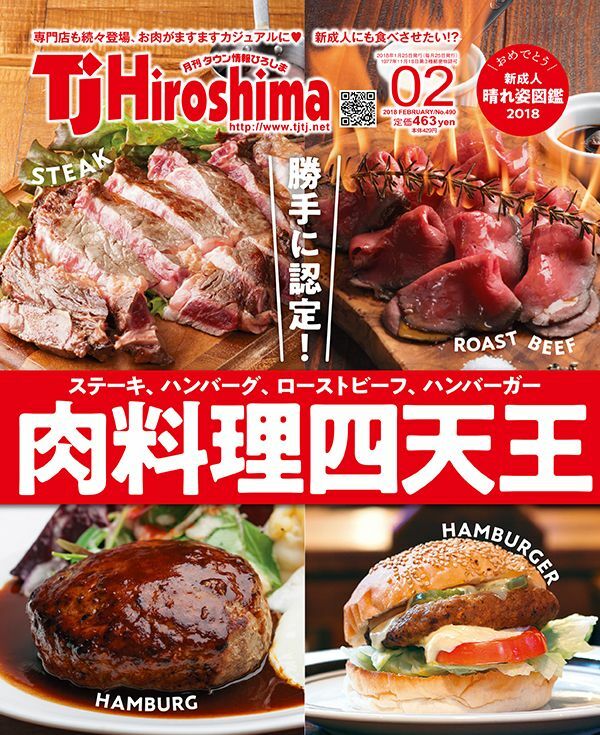 Say hello to the Four Heavenly Kings of Meat! 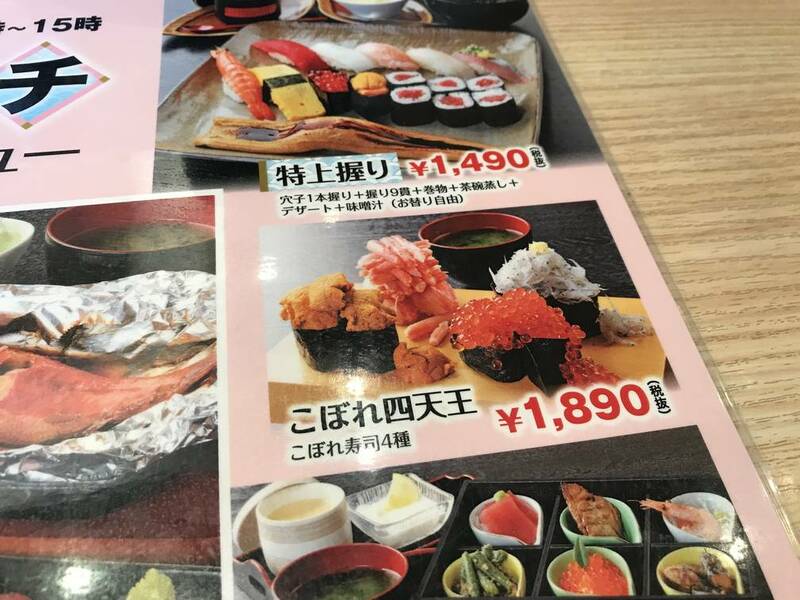 Let's order the "Four Heavenly Kings of spilling over sushi"
The word shitennō evokes the image of four mighty beings, sounds snappy and intimidating, and is a relatively common term in Japanese. In contrast, the literal translation of “Four Heavenly Kings” is much longer, clunkier, and not quite as intimidating on its own. 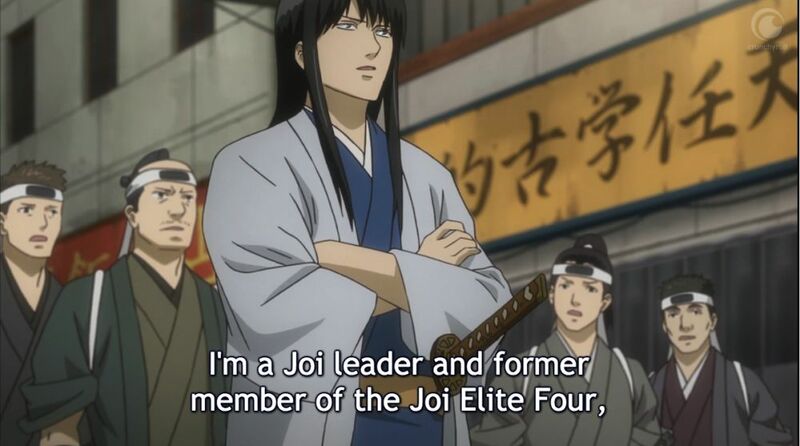 To sum everything up, while shitennō can often be translated as “Four Heavenly Kings” without much trouble, there are times when it’s too long, sounds awkward, gives the wrong impression, or borders on being completely off the mark. Of course, if you’re reading this article then you’re probably already savvy enough that “Four Heavenly Kings” sounds 100% normal. The phrase has definitely gained ground in recent years thanks to Japanese entertainment. It’s difficult to find an English word for shitennō that solves every issue listed above, so there’s no single “correct” translation most of the time. It’s even normal to see it left untranslated in some situations! In the end, everything usually comes down to the translator’s creativity and personal preference. As a result, shitennō has seen many different translations over the years. For whatever reason, “Four Heavenly Kings” has been the default translation among fans of Japanese entertainment for years and years. I never knew why until now: apparently that particular English phrasing has been in use since at least the 1850s. Still, despite how long the term has been in use, there’s rarely been a consensus on how it should be translated in more modern, non-Buddhist situations. So let’s look at how the phrase has been handled by professional translators over the past few decades. By coincidence, the fourth Final Fantasy introduced the “Four Heavenly Kings” idea to many gamers outside of Japan – including myself – and that same association is strong even among Japanese gamers. 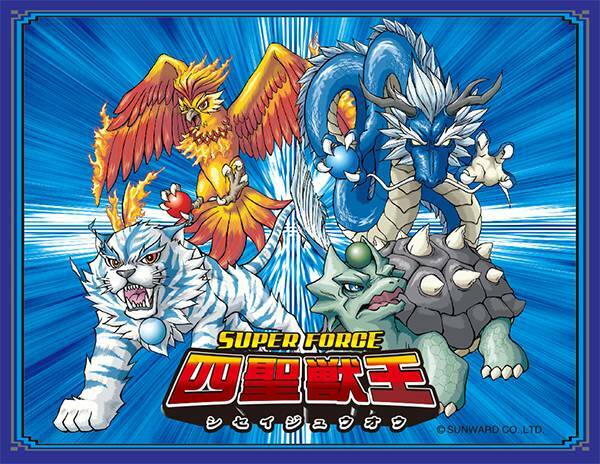 In the PlayStation translation they're known as the "Fearsome Four"
In the Game Boy Advance translation , the shitennō are called the "Four Elemental Lords"
The Pokémon series is probably how most gamers were introduced to the shitennō idea. 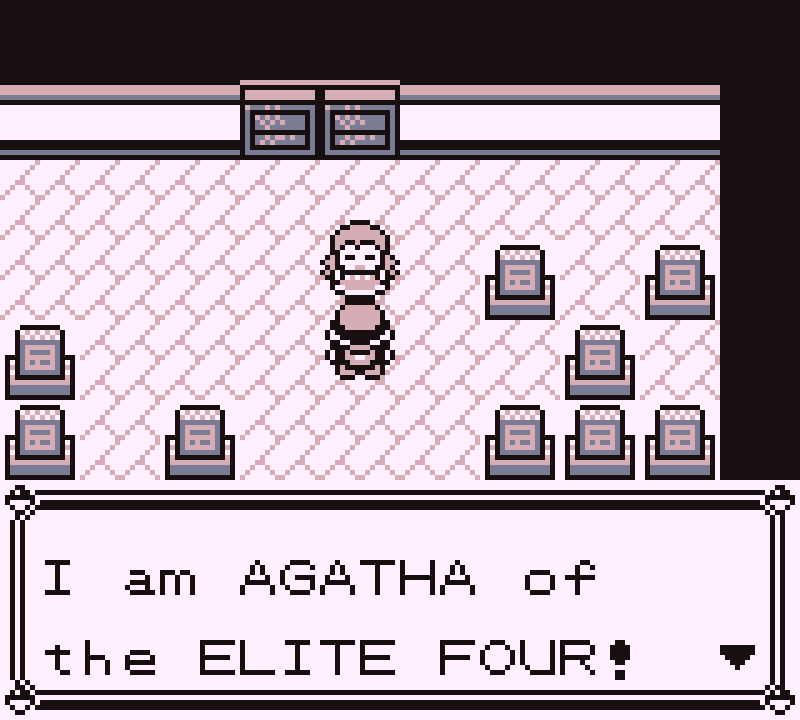 As such, the translation choice of “Elite Four” has remained strong throughout the series’ history and has become a common go-to translation for shitennō ever since. 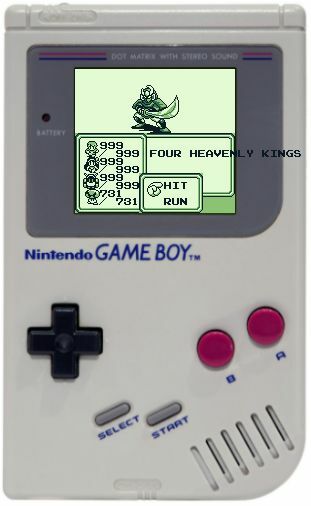 The original Pokémon games called the shitennō the "Elite Four"
The Megami Tensei games center around religious icons, so it’s no surprise that the shitennō appear in the series. 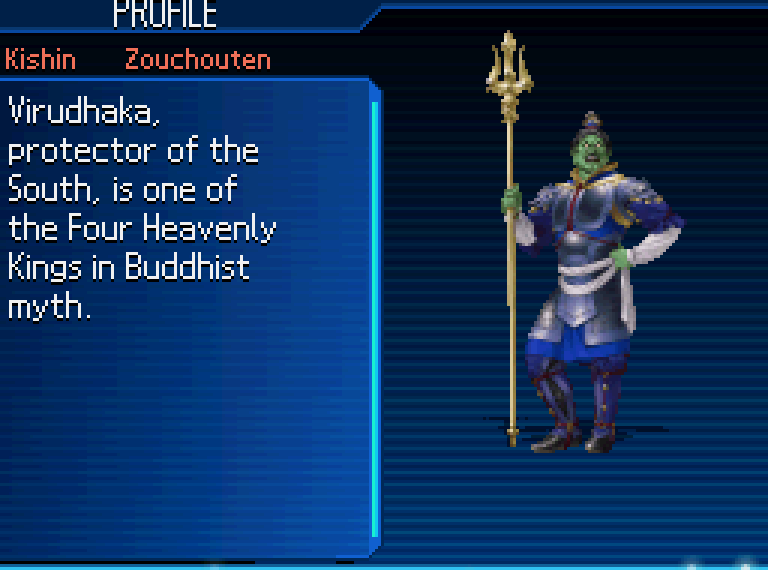 Shin Megami: Strange Journey uses "Four Heavenly Kings"
And it uses "Four Devas" too apparently? 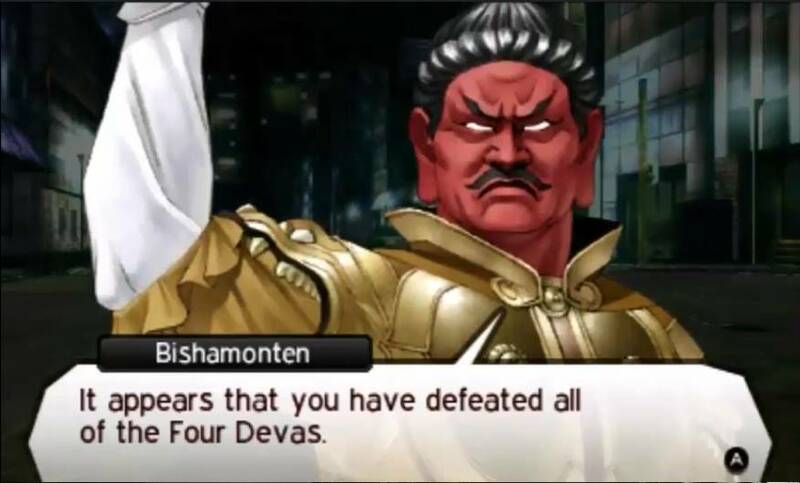 The iPhone translation of Shin Megami Tensei uses "Four Devas"
Shin Megami Tensei IV also uses "Four Devas"
The various Street Fighter games use shitennō all the time - this example from Street Fighter V translates it as "Four Kings"
The DVD subtitles call Garlic Jr.'s food-themed henchmen the "Four Monarchs"
The English dub goes a very different route though: the "Spice Boys"! 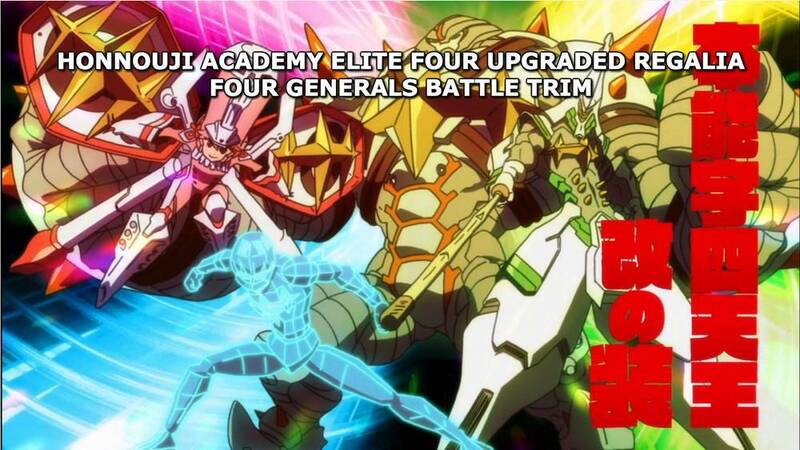 The Bobobo-bo Bo-bobo manga translation turns the shitennō into the "Big Four"
Kill la Kill translates shitennō as the "Elite Four"... and... as the "Four Generals"?? While it usually doesn’t matter too much how shitennō gets translated into English, my hope is that this has shown how a single, simple word in one language can be troublesome to translate into another. Hopefully it’s been a fun and educational look at how cultures, religions, and languages aren’t separate things, but are all twisted together like a messy bunch of computer wires. 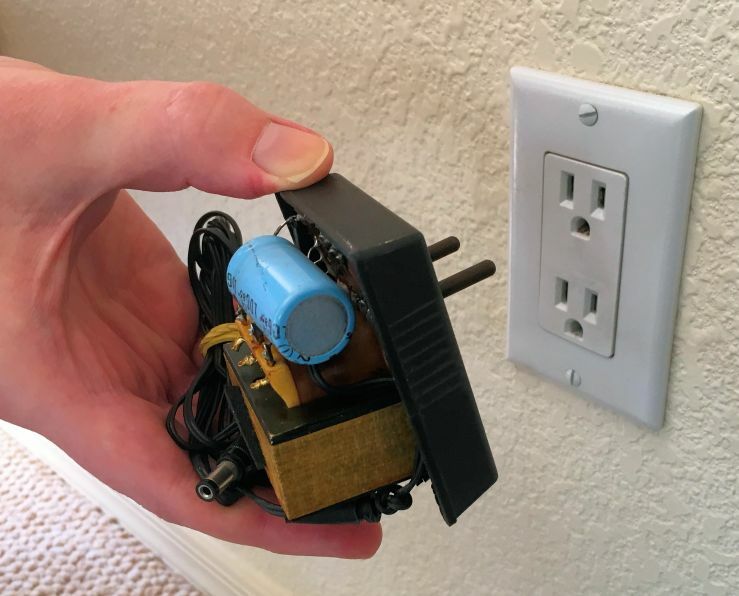 And if you’re not careful when you plug them into a foreign electrical outlet, you’re gonna get zapped. All silliness aside, the translation examples I’ve listed above are only a fraction of what’s probably out there, so I’d love to document more. 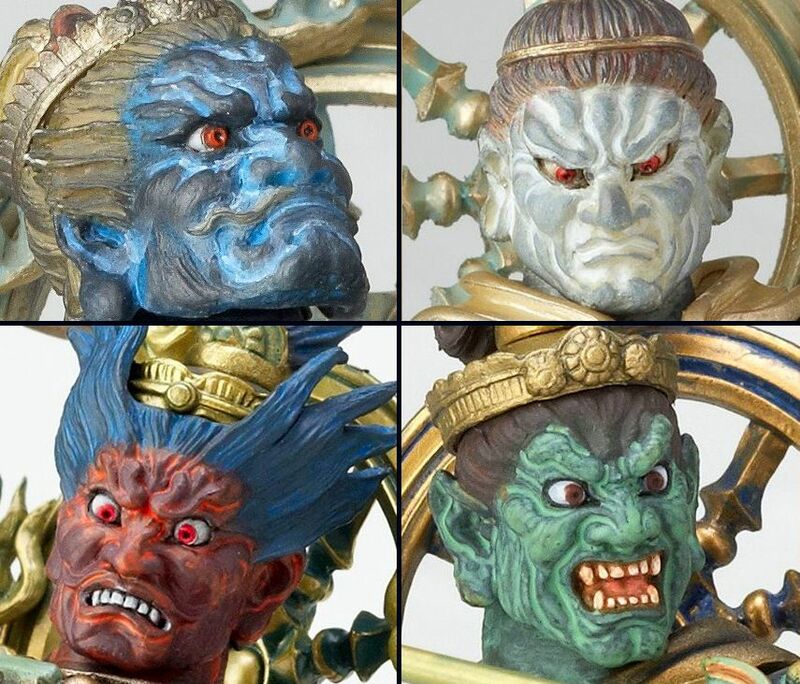 If you encounter any other instances of the shitennō or Four Heavenly Kings in a translation, let me know in the comments or on Twitter and I’ll update this article from time to time. 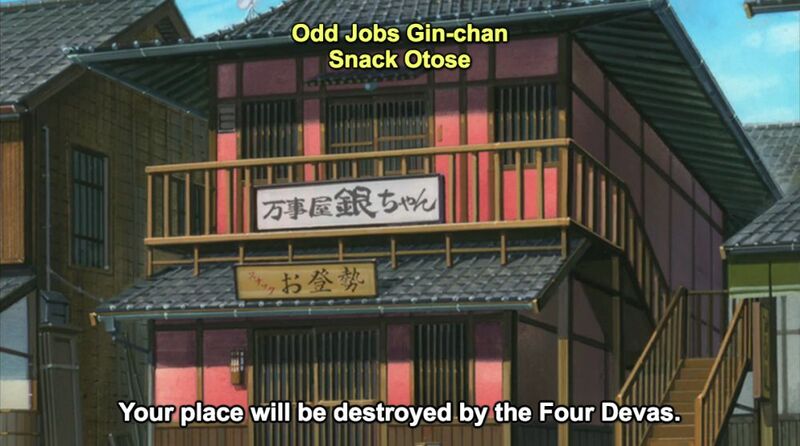 And who knows, maybe we’ll eventually learn what the “Four Heavenly Kings of Four Heavenly King translations” are! 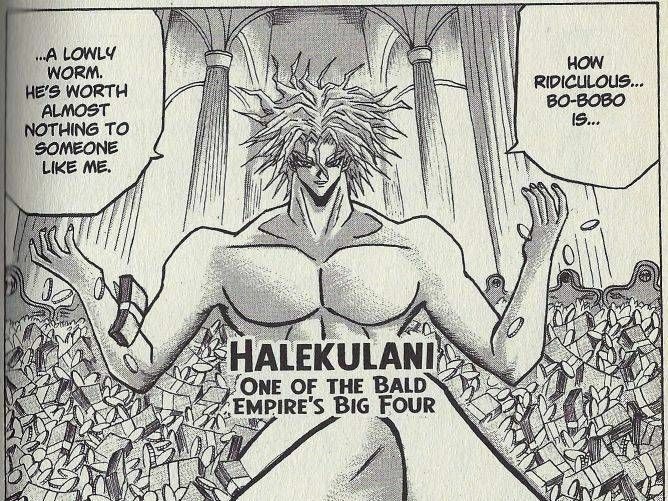 By the way, if you enjoyed this look at all the different translations for "Four Heavenly Kings", you'll love my article about the term "Maō/Demon King"! Unfortunately I can’t seem to find a pic of it in-game or on any official materials, just mentions of the phrase outside of the game on forums, wikis, etc. A quick check of my All About SNK Fighting Games 1991-2000 book (which has all scripts for the games released to that point) doesn’t show the term used in-game at all. It does show up in the thorough SNK encyclopedia appendix in the back, but it wouldn’t surprise me if the materials where they use the term were just never translated into English. Likely places to check might be mobile games, but I’m not sure if the term comes up there either…. I have never heard the Negacommander moniker. As far as I recall – and as far as the Sailor Moon Role-Playing Game and Resource Book by Mark C. MacKinnon lists – they were simply referred to as the Four Generals of the Negaverse. The RPG and Resource Book was a licensed product, published by the Canadian gaming company Guardians of Order in 1998. It contained a great deal of background information about the series – both the original Japanese series by Toei Animation and the American DiC dub. It also included a fantastic episode guide. I’ve had my copy for many years and just figured I’d pull it off my book and check out what it had to say about the Negaverse generals. Thanks for all your fine work. I love your site. Yeah, I’d never heard of “Negacommander” either, but all these Sailor Moon wikis kept mentioning it. I couldn’t find any evidence of it, though. I wonder where the wikis pulled it from. I love that you used Mega Man Zero as an example. That game is great, but sadly, it doesn’t seem to get nearly as much recognition as the rest of the Mega Man series. 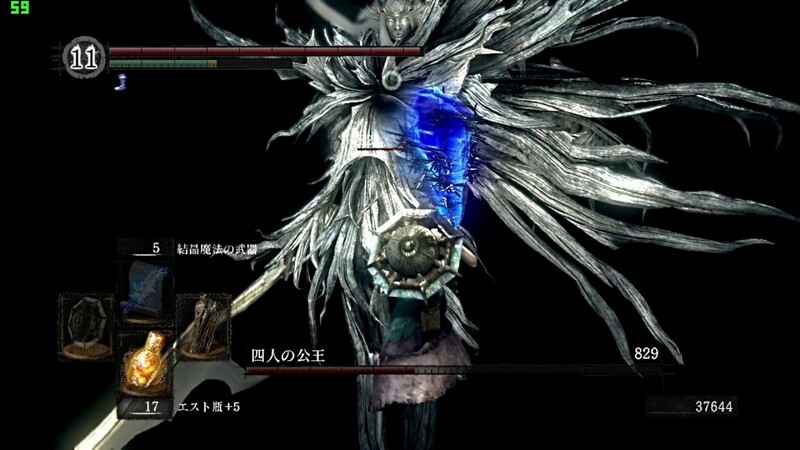 Oh yeah, I forgot to mention it, but there are things that you’d THINK are shitennō but aren’t – the Four Kings boss battle in Dark Souls is one example. Would that even clear legal? It’s too direct. In Pokémon’s official European Spanish localization shitennō has been consistently translated as “Alto mando”, which means “High command” (as in, high command of the Pokémon League). Well, considering how nowadays gym leaders are depicted as mayors/governors/figures of authority, and the champion of a region is both the strongest trainer and seems to have some degree of political power, it wouldn’t be a stretch to assume the Elite Four could be related to military. Tetraélite sounds both silly and cool, but I think I prefer Alto Mando. This reminds me of the concept of Holy Trinity. I don’t think it would be as hard to translate into cultures without a Christian tradition, but it carries a symbolism easily understood in countries where there’s a Christian majority. 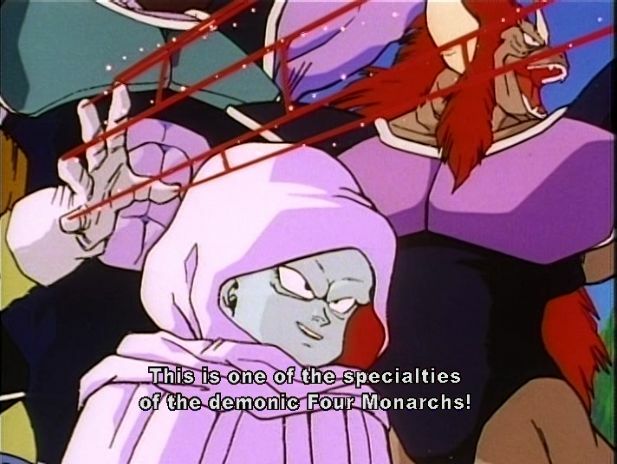 When it comes to anime, I remember the “Four Saint Beasts” in Yu Yu Hakusho. Color me surprised when they were actually referred to as the 四聖獣 (shiseijū) rather than 四天王, though! Well, the 四聖獣 are also an established group, after all. Both the Kaio and Kaioshin in Dragon Ball are based of the Shitenno as well. Neat! Do you know if they’re ever specifically referred to as shitenno in the series or in supporting materials? That’s mostly what I’m interested in – how the word is translated. 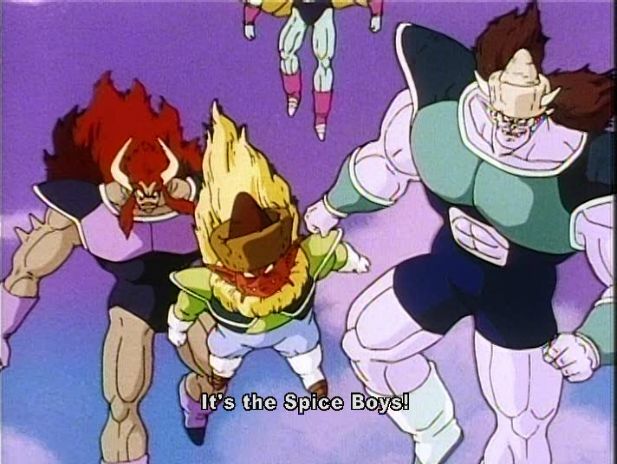 I haven’t seen all of the Japanese version of DBZ, but I did watch the Super one. They aren’t called Shitennno, but materials claimed they’re based on that term. the lack of credits and “I HAVE DISABLED COMMENTS BECAUSE I REFUSE TO SUPPORT GOOGLE+.” really speak to how old this video is lol. I’m pretty sure that’s a Hyadain song, but I could be wrong. wait, isn’t Budweiser the “King of Beers”? I don’t think calling food a king is too outlandish in English. also now I’m wondering why the original Iron Chef didn’t have 4 Iron Chefs, seems like a wasted opportunity (yeah I know there was Iron Chef Italian, but he felt more like the 6th/green ranger more than anything). 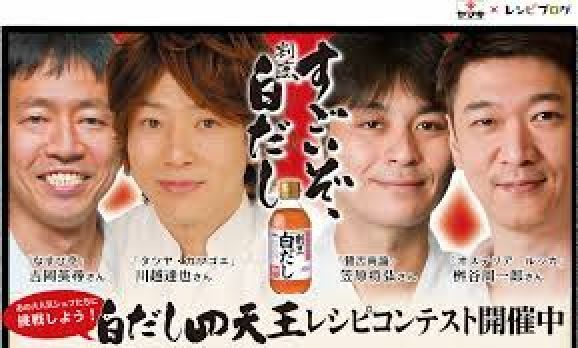 Very good point – I agree that it’s not too crazy to call food/drink a “king” in English, but to call a set of four foods/drinks “heavenly kings” is more of a stretch. Food was just one easy example of what I was trying to say in that section though – that non-living things can be called shitenno too. As a heads up, the FF mobage you’re referencing is Brave Exvius rather than Record Keeper. 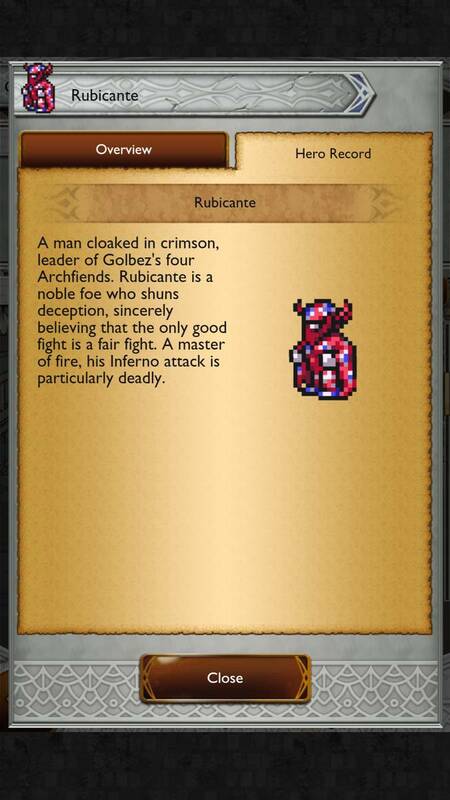 FFRK does have Rubicante in it but not Barbariccia as a playable character. 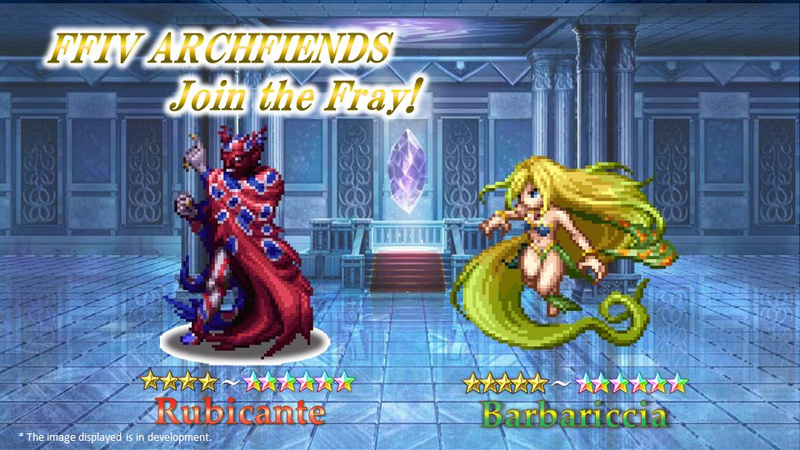 Can’t recall what wording FFRK uses for them but FFBE does indeed call them Archfiends. 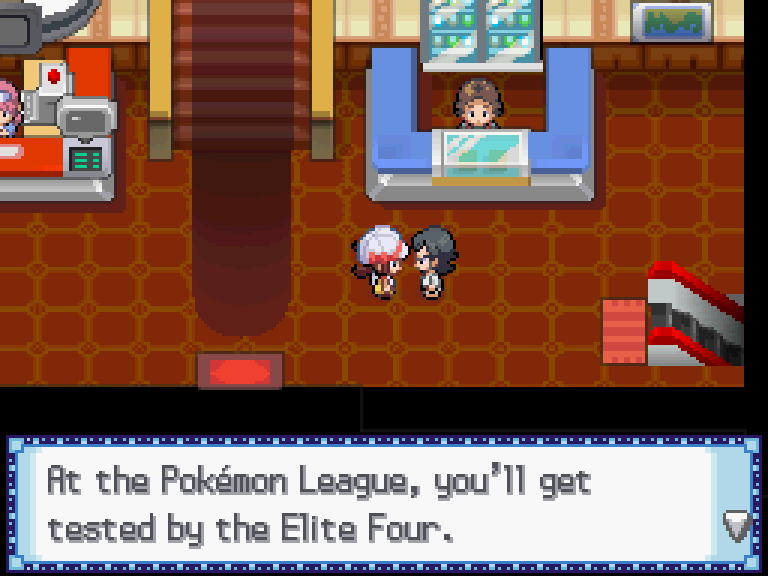 Hah, it never even occurred to me before that “Elite Four” was actually the localized term. It’s caught on so solidly, it’s often abbreviated to E4. You left out the Zombies from River City Ransom. 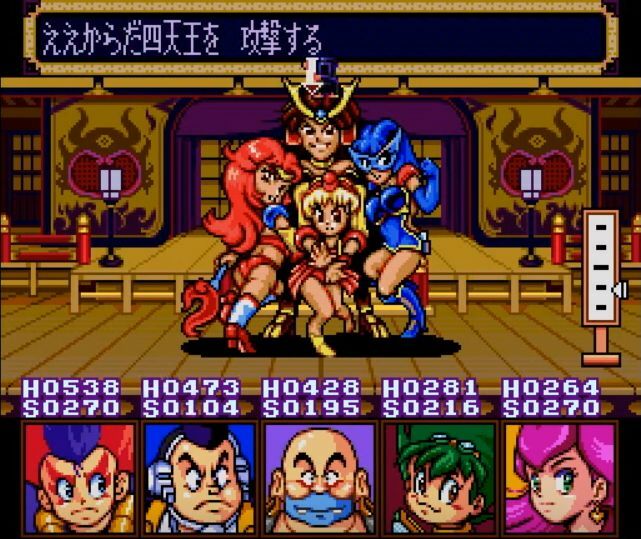 Their counterparts in Downtown Nekketsu Monogatari were the Shitennō of Reihō Gakuen. I always thought the localization choice was kinda weird, since it made the Zombies look like a separate gang from The Plague, when they were really a faction within the same gang. Oh, so they’re just called “the Zombies”? If so, that’s interesting, I never would’ve known that they were shitennō. 3) requires the characters to ride horses. Yeah, it’s a shame there’s the horse theme to them, otherwise it would fit so well! 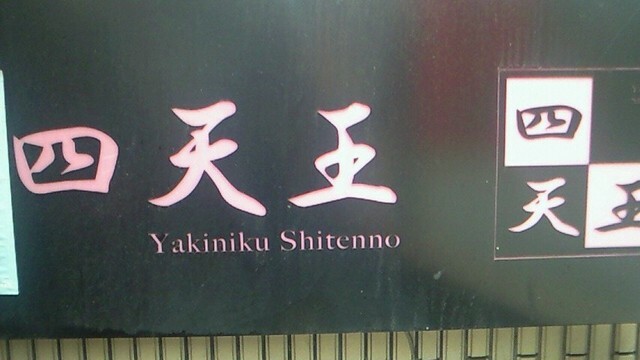 …now I wonder if that’s sometimes translated as shitennō. 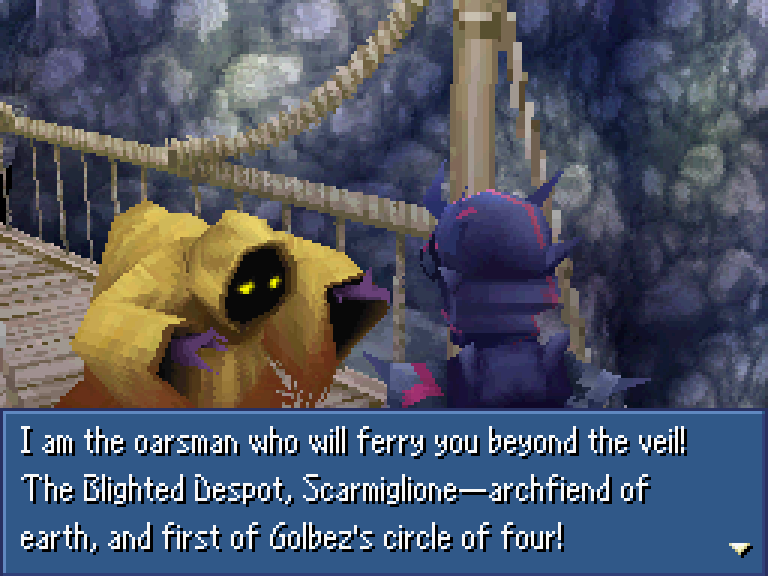 And now I’m also picturing a JRPG where they serve as the four major bosses of the Gnostic Evil God. I’m not a translator, but I’m kind of surprised there aren’t any cases where it was translated as “the Four Cardinals”, playing off how cardinal can refer to anything of fundamental importance, especially the cardinal directions and the high-ranking Catholic officials. The various western occult traditions derived from Cabalism also has the concept of the Cardinal Archangels, associating Michael, Gabriel, Uriel, and Raphael with each of the four elements and the cardinal directions. 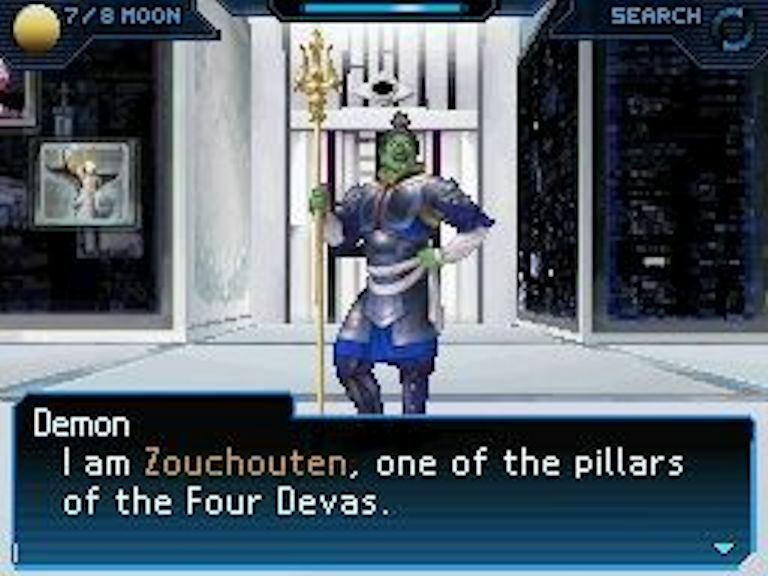 I’ve always been rather partial to the “Four Devas” translation – it’s fairly short and snappy, and works in pretty much every situation. I wish it’d have become more common. The Ikkitousen franchise had a Shitenno Group in the first arc too, I THINK the official translations used “Four Devas”. Not entirely sure. 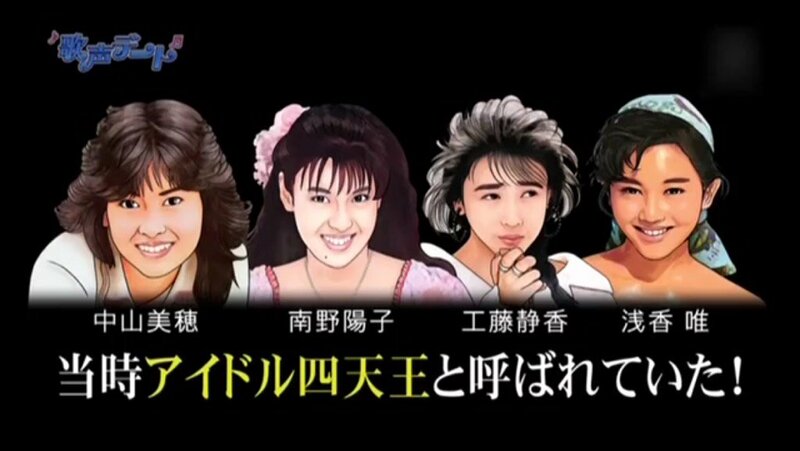 Now I want to see a pop idol-themed game where it’s translated as “Four Divas”. Looking though the comments here and on Twitter, you might want to note in the article that shitennō is distinct from another group of four mighty beings that are frequently seen in Japanese media, 四聖獣 (shiseijū, the Four Saint/Sacred Beasts), I’ve seen a few people confusing an example of the latter for the former. Like shitennō, they come from religious teachings imported to Japan and rule over cardinal directions, but religion they come from is different and as the name says they are specifically creatures; they are also more strongly associated with specific colours. That, and I doubt any group of 四聖獣 will ever have names other than Seiryuu/Qinglong, Genbu/Xuanwu, Suzaku/Zhuque, Byakko/Baihu, and possibly Kouryuu/Ouryuu/Huanglong. Also: check-plus on that mockup of “Four Heavenly Kings” in Final Fantasy Legend. What about the Beatles? In the US and U.K. they’re often referred to as “The Fab Four”. 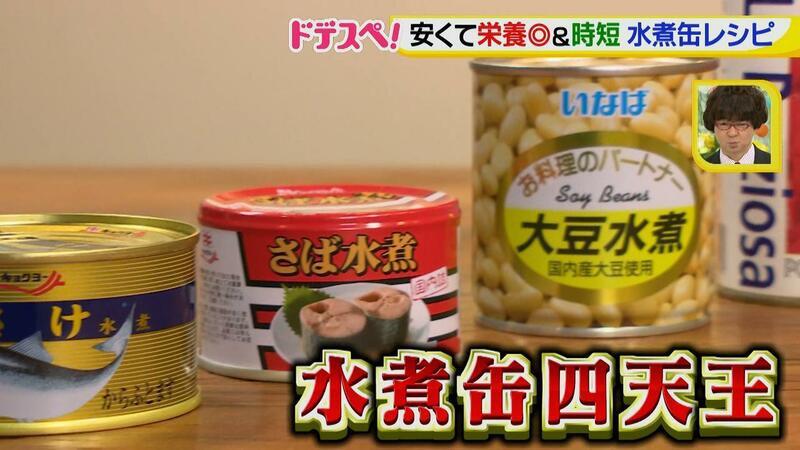 Might they be referred to in Japan as “shitenno”? Nope. The JP concept usually centers on one boss surrounded by the four most trusted henchmen, so the JP won’t consider the Beatles to fit the description. In this context, this would work: Elton John’s “shitenno” would be lyricist Bernie Taupin, guitarist Davey Johnstone, bassist Dee Murray, and drummer Nigel Olsson. However, like the fast food example, it would be possible to consider the Beatles as one of the four great Brit Invasion bands, like the Beatles, Stones, Who, and the Kinks. As usual, here is my commentary on Italian translations. -Pokémon translations came out with “Superquattro” (Super 4) as their localized name. 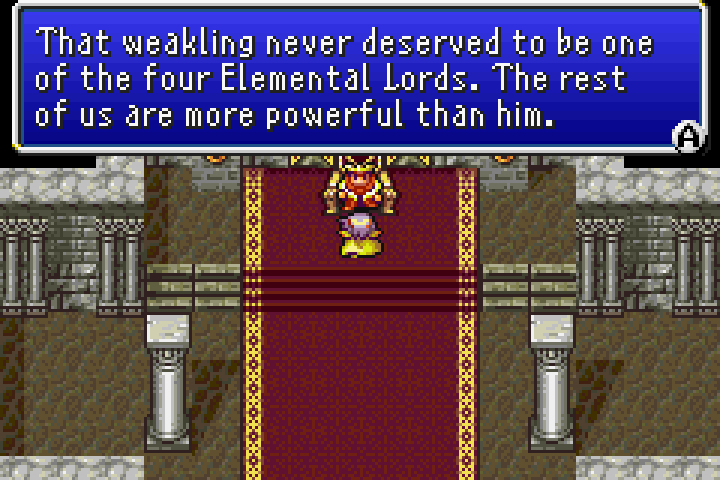 -I played only the DS version of Final Fantasy IV, and it just translated the english monicker into “Arcidiavoli degli elementi”. I guess it could work in a more punny/lighthearted parody setting, but if you really wanted to show the cardinal aspect of them I think something involving the Rose of the Winds would work better. 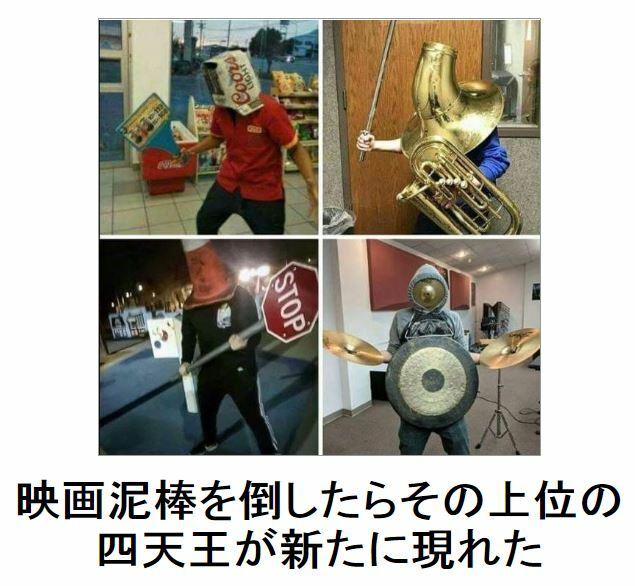 Four/Lords of the Rose/Winds, perhaps? Compass Commanders, maybe? It took me several days to realize you meant cardinal DIRECTIONS. Sorry, but I guess when I hear “cardinal” I automatically think of numbers. 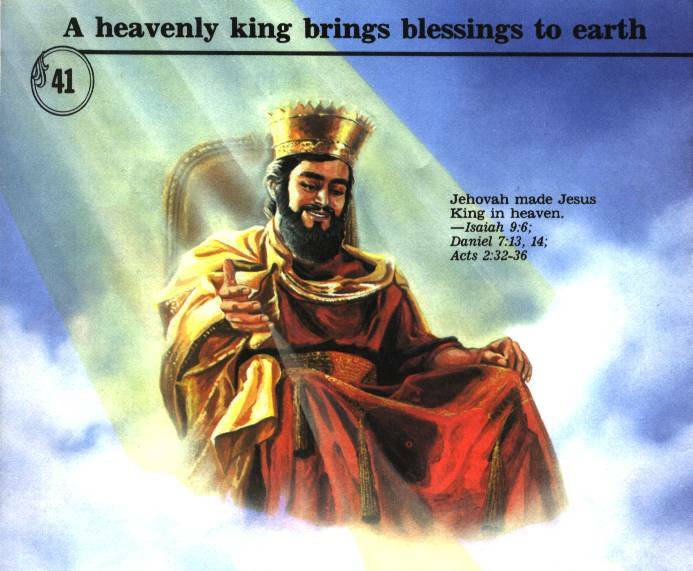 I think we as a planet should all agree to use the translation “Heavenly Superperson, or emperor for short” and just move on. I’m not sure if it would still be within the scope of this article, but it would be kinda cool to see what Western properties have a group of 4 important entities that was translated INTO Japanese as 四天王 (though I suspect it might be rare, since it’s a very Japanese/Buddhist concept). But the example that came to mind while reading this article was the four Diamonds from Steven Universe, and I got to wondering how they’re referred to in the Japanese dub. 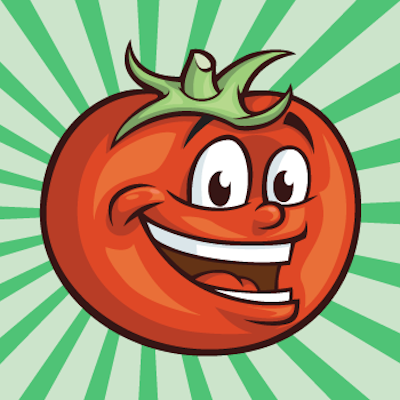 It’s unlikely because this term typically refers to a group of great, but subordinate four to a single boss. So groups like the Fantastic Four, Teenage Mutant Ninja Turtles, or the Four Horsemen wrestling stable wouldn’t count. Maybe the X-Men’s Four Horsemen would be closer to the meaning since they are Apocalypse’s minions, but I’m guessing that even in an applicable equivalent, Western terms are kept as is. Fun fact: in the Japanese versions of Pokemon Omega Ruby and Alpha Sapphire, the Elite Four have a little introduction graphic when you fight them, but in Japanese there’s English text over it that says “the big four.” I’m not aware of any other games that did this, but it’s interesting that the Japanese version gave a different translation than the one English speakers are used to. As a long-time Pokemon fan, it bugs me that they used a different name. But it does make sense, when I think about it. 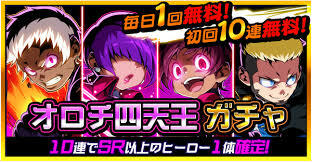 Japanese players would be familiar with the word “big”, but not with the word “elite”. 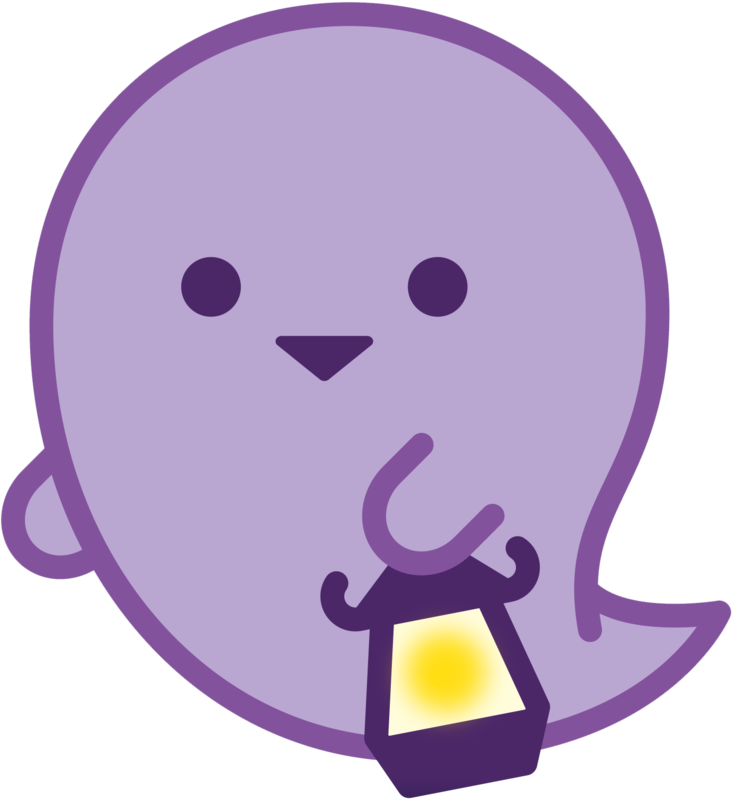 Mr. Mato, I’ve always wondered why in Japanese, it’s pronounce as “Shi-Ten-Nou”. 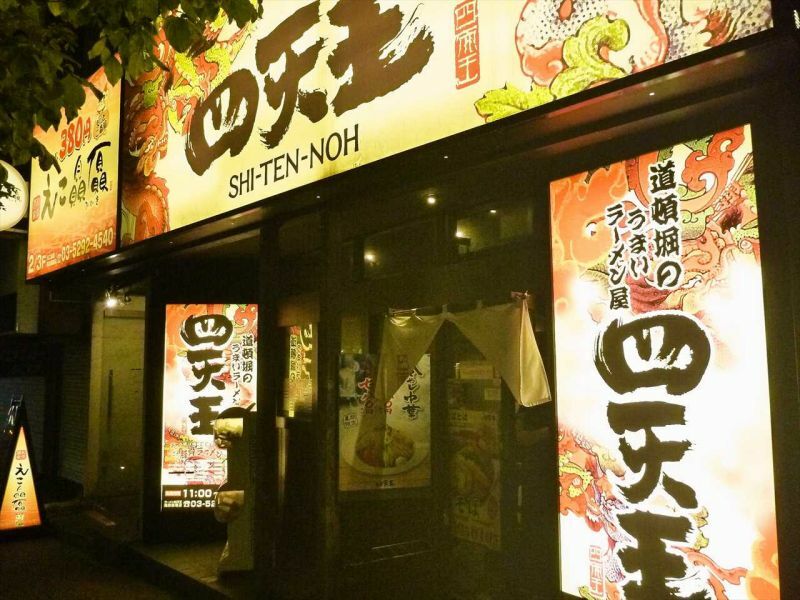 Shouldn’t it be pronounced as “Shi-Ten-Ou”? Where does the extra “N” come from? As someone who studies Japanese, I realize that they do stuff like that all the time for the sake of regularity (like saying “Dai”joubu instead of “Tai”joubu), but is there any particular reason for that extra “N”? Thanks. Hundreds of years ago, somewhere between the 12th and 16th centuries, Japanese underwent a sound change where syllable-final “n” became doubled when between vowels. This sound change, like all sound changes, only applied to words created beforehand, which is why not all words with intervocalic “n” double it. 四人の – Four (persons); The usual fare of indicating number of members of a group is by using numeral+人 (person; “jin/nin”), we see that in the Japanese title for The Seven Samurai, 七人の侍 (Shichinin no Samurai), where it’s 七人 (Lit. 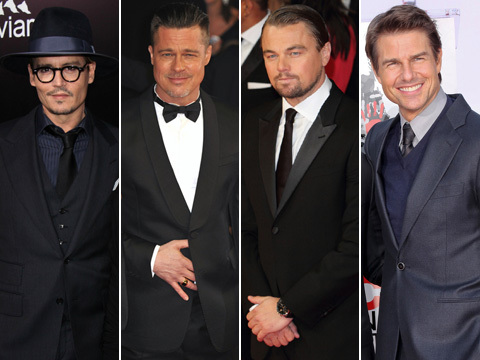 “Seven persons”). The genitive particle is merely there to indicate its connection to the noun which it modifies. 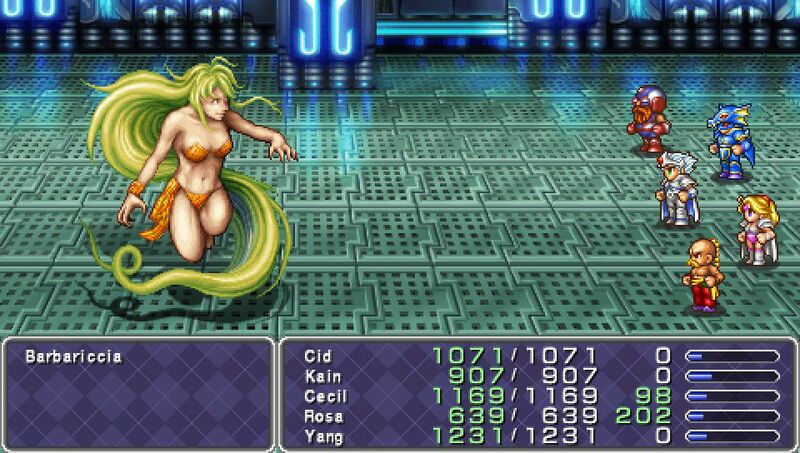 You cover Final Fantasy 4, but what about the original Final Fantasy? 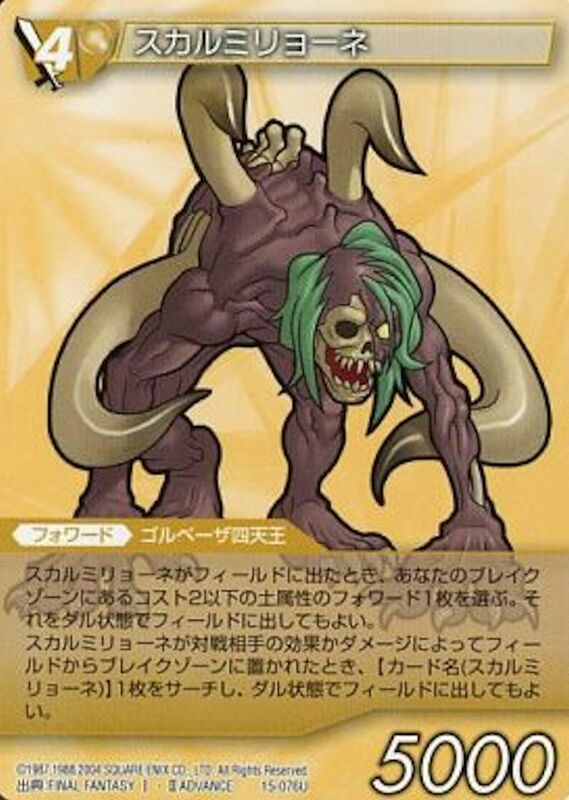 Since the “Four Fiends” concept actually started with FF1, it’d be interesting to run a comparison back to there, too. 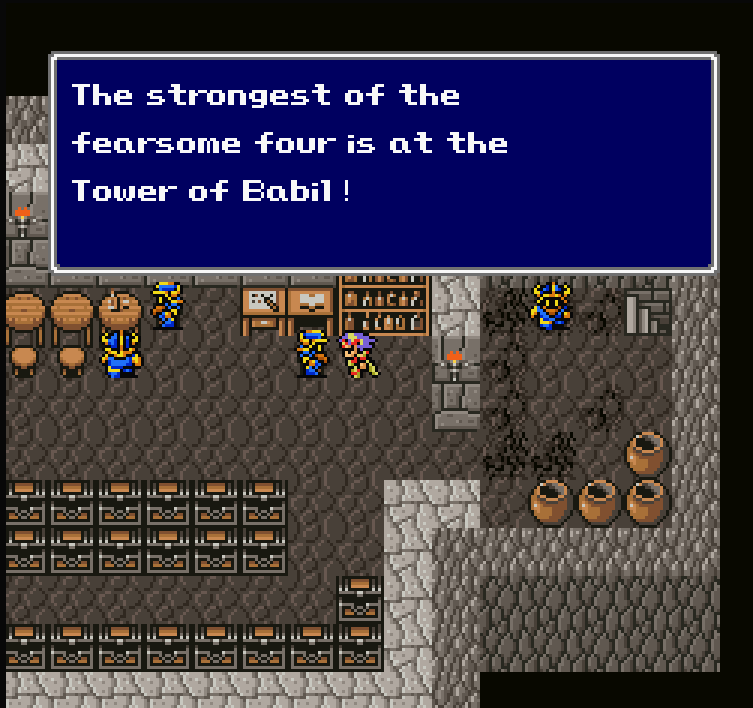 The four big bads of FF1 are called the “4 Chaoses”, ４ひきのカオス. Romancing SaGa 3 had its own take where the principal bosses were referred to as 四魔貴族 (shimakizoku, Four Demon Nobles) and they were elemental fiends named after King Solomon’s demons in the Goetia. The 4 main elements also represented the Four Symbols of the Chinese constellations, and the status menu icons for elemental magic depicted the animal associated with each element. The Pokemon “E4”–like all the Poke names, items, places, etc., in ALL CAPS, were already written by the time I was handed the reins to localize Gen 1. I thought Elite 4 to be quite clever and good for saving space. 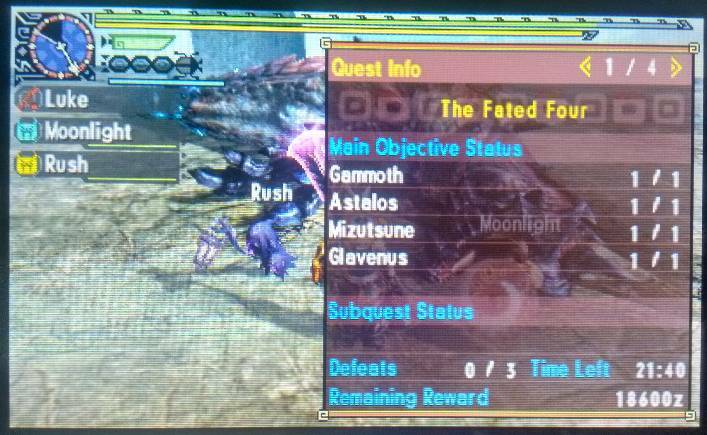 I would’ve likely agonized for way too long and then lamed out with something like the Four Masters. Sometimes, people with little experience in translating innocently come up with great solutions. Also, the concept of “shitenno” is easily familiar to the JP since it’s nothing new in manga. 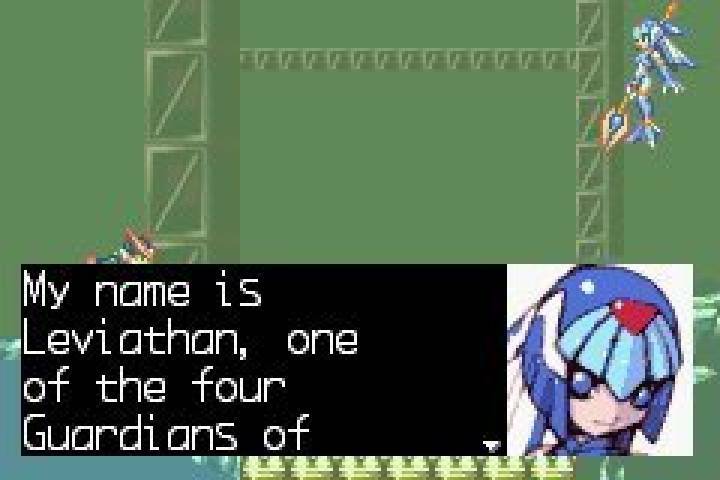 Elite Four is absolutely a good way of translating it. Of course, if you were to use it somewhere else in this day and age, 90% of the audience would just assume the game/show/manga was making an intentional Pokemon reference, especially if it’s a comedy work like with the Gintama example up there. 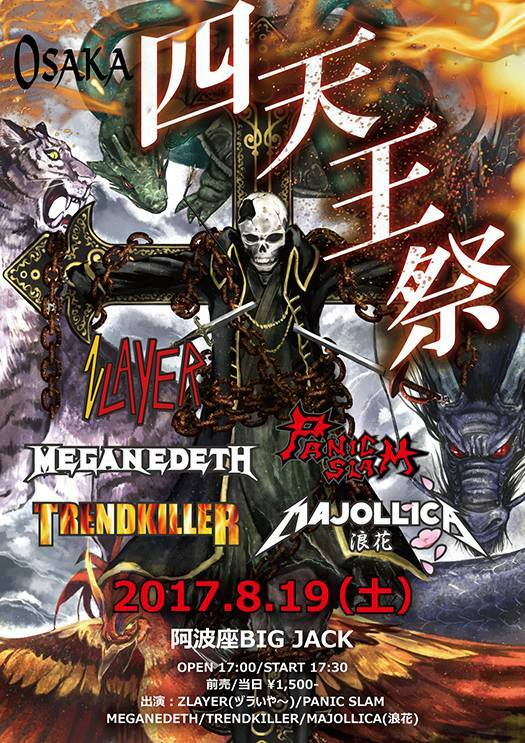 Is the band “Meganedeath” on that concert poster supposed to be a Megadeth cover band where the joke is that they wear glasses (眼鏡)? 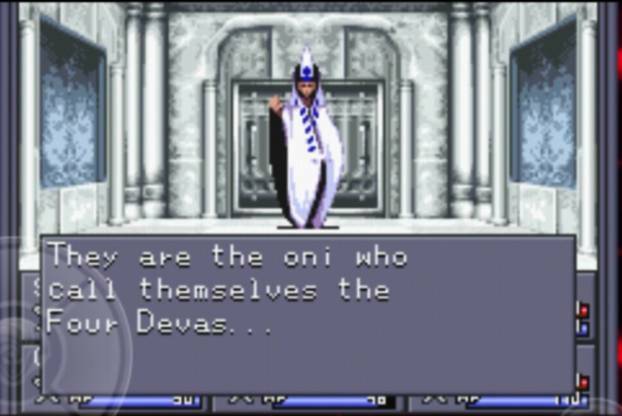 I’ve always been partial to the “Four Devas”. It doesn’t have the “heavenly” connotations that the standard translation has, it’s quick and snappy and space efficient (even a more conservative “4 DEVAS” could work) and if you’re familiar with the concept of deva it’s quick shorthand for “like the regular but better”. Of course Elite Four is good too, but I feel it looses the more “other worldly” connotation that Shitennoh has to me. In the French version of Pokémon the Elite 4 are called “Conseil des 4”, that could be roughly translated as “Council of the 4”, which nicely convey the elitist nature of the group while sounding very natural. 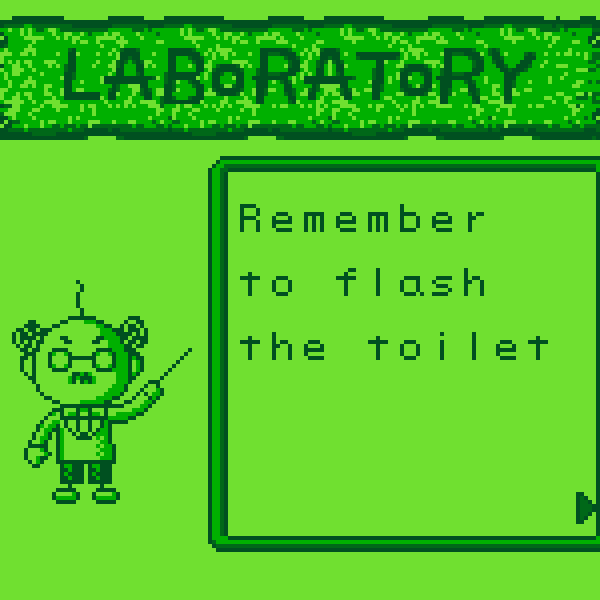 All in all, the French translation of the original games is really great. I’ve been playing Alpha Sapphire in French recently. Gym Leaders are called “Champions” (which I knew beforehand, but forgot about), and it also taught me that the “Name the Descriptor” format existed outside of English. Speaking of Pokémon, I wonder if this was used to apply to the four Rocket executives in HGSS. it would fit the theme of four figures around a central one. 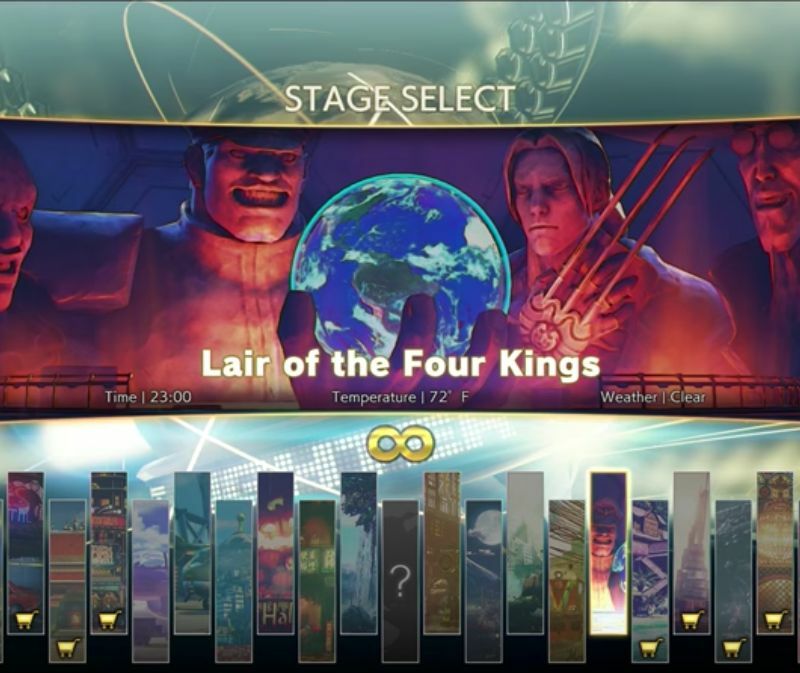 Shouldn’t the theme apply to the Four Lords in Dark Souls and NOT the Four Kings? For Shiseijū, all I could think of was the Four Saint Beasts from Yu Yu Hakusho and the Digimon Sovereigns from Tamers. 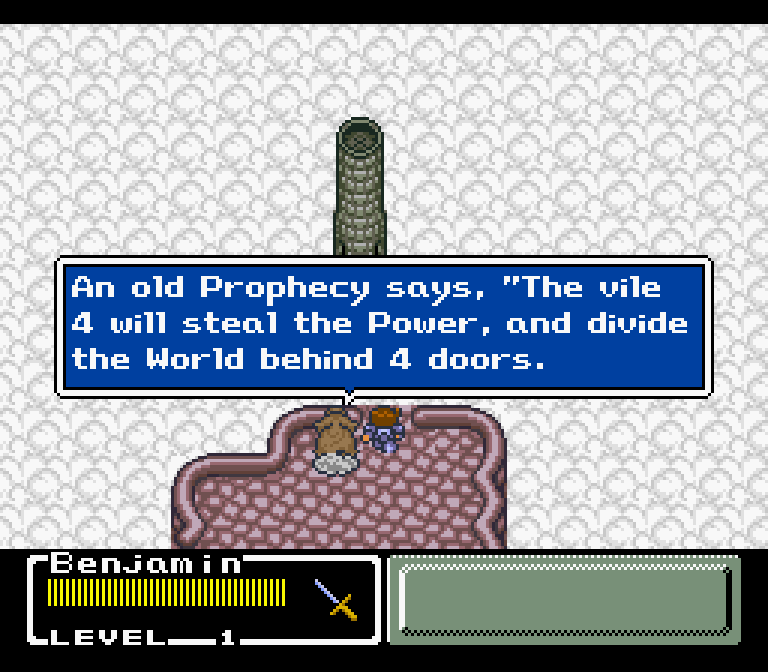 The Vile Four in Final Fantasy Mystic Quest are called Shitenno in Japanese. 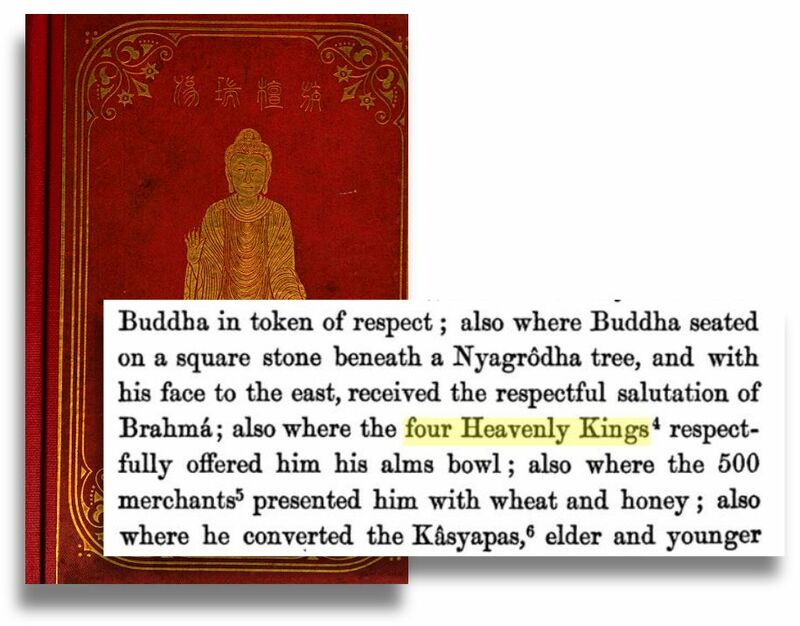 No one has pointed out so far that 天 as in 四天王 is Chinese phonetic transcription of “deva” in Sanskrit and has nothing to do with “heaven”. One group of “shitennou” that spring to my mind is a quartet of minor villains from ‘Gosei Sentai Dairanger’, a Japanese live-action superhero show from the nineties. The “Gattai Shitennou” or Combination Four Heavenly Kings are four men dressed as soutou Buddhist monks, each one wearing a circlet and carrying a shakujou, or Buddhist sounding-staff. Like the name suggests, they can combine to become more powerful, becoming a single person wearing similar clothes, but with a kind of fused four-way mask for a head. What’s interesting here is how their title plays into the way the villains in that show were named: all the minor, episodic villains had a two-part moniker of an object or idea and some kind of title for a person. “Key Jester” was a clownish villain made of keys, “Purse Priest” was a monk with a coin purse for a head, etc. So in this case, “shittenou” is being used for the type, or archetype even, of person they are, no different than if they were a doctor or a teacher. I was briefly working on an aborted translation for Metal Max 2, a post-apocalyptic JRPG, where the shitennou are the leaders of a roving biker gang – the religious implications are pretty strong, here, and there’s a sacrilegious sense to the term’s use. 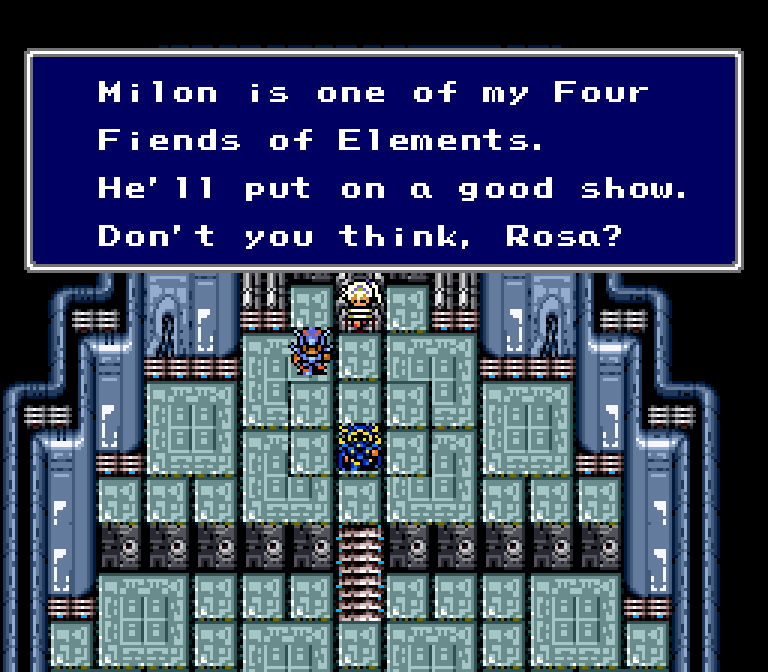 I was pretty proud of the localization I came up with – the Four Horsemen. In Touhou a group of 4 particularly fearsome oni in Gensokyo are referred to as 山の四天王, which depending on who is translating it into English ends up as Big Four of the Mountain or Four Devas of the Mountain. Back in the early ’90s, Chinese-language media was using the term 四天王 to refer to the four “kings” of Chinese pop music back then: Andy Lau, Aaron Kwok, Leon Lai and Jacky Cheung. I believe the translation “Four Heavenly Kings” originates from English renditions of these media reports.